Inkophile is ten years old! Can you believe it? Over 216,000 words, 250 reviews, 1,200 posts and 6,000 comments. That’s a lot of pen talk! Fountain pens were’t always my tool of choice, but in an art store nearly twenty years ago, a disposable model caught my eye. Since then there has been no turning back. Moving forward a few years, Ebay provided access to pens that were unavailable locally, but those thirsty suckers needed suitable nectar and that’s when I discovered Pendemonium. 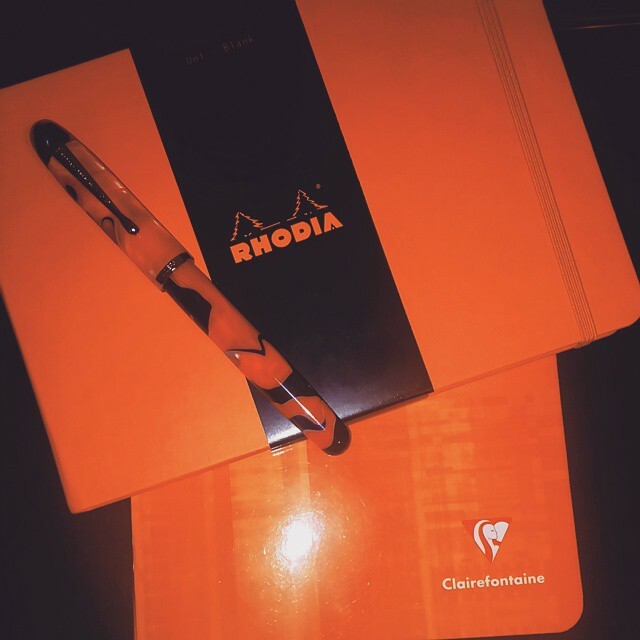 Through Sam and Frank, I learned about Rhodia pads and acquired a taste for J. Herbin Lie de The and Poussiere de Lune. Then came Noodler’s Black and Legal Lapis. Those early acquisitions made a fine start to my ink addiction. Fountain Pen Network caught my interest a few years later, and after an extended period of lurking, I signed up. It was an enjoyable playground for a newbie and remains so. Back then FPN’s tolerance for intemperate and off-topic remarks led to the creation of Inkophile as a more free form and less divisive venue for pen posts. Thanks, FPN! Even my Twitter account has been around for a decade. Recently, I put some time into refining my Twitter lists, one with over 250 artists and another with over 400 pen people. Twitter can be a cesspool so members are mostly folks who post on-topic or upbeat tweets. The lists are curated so will not only expand, but members who cease to write about relevant subjects will be removed. No aspersions cast on anyone, but the point is to see tweets related to art, pens, and things that are positive. The lists can be a treat when other areas of life are not. Manufacturers have expanded their offerings in the past ten years well beyond anything I imagined when Inkophile was launched. 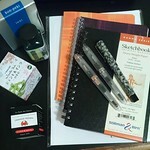 There is no way to keep up with every pen and ink released making the support of retailers and distributors invaluable. In fact, Pen Chalet, Goldspot, and Exaclair have sent pens and inks recently so there are a few new items awaiting review. Much to do. Lastly, a huge thank you to my readers who have made this blog possible. You are the best! Pen enabler extraordinare, Leigh Reyes, has written about the extra long Duke calligraphy nib for ages and of course she can do things with it that are both amazing and beautiful. When I saw one on eBay recently, resistance was futile. 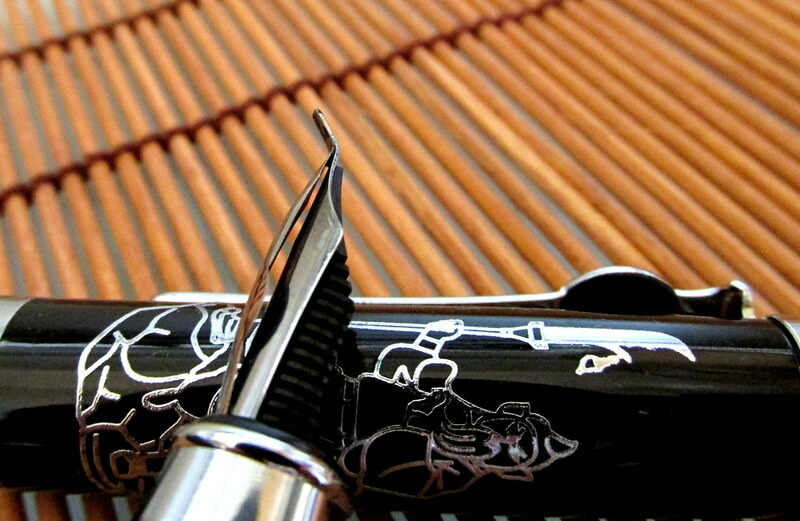 Meet the Duke Guan Yu Calligraphy Fountain Pen. 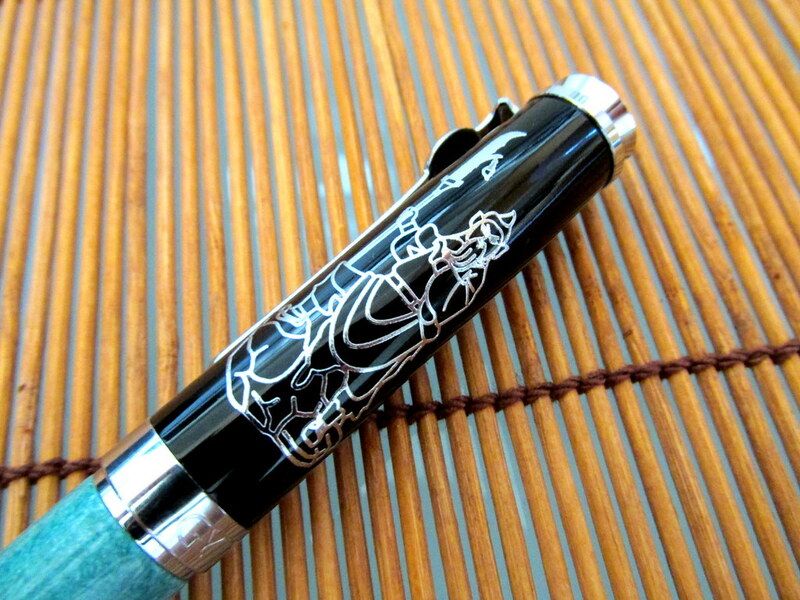 It has the Chinese warrior Guan Yu holding his weapon, a guan dao named Green Dragon Crescent Blade, on the cap. Also on the cap are four Chinese characters, “Zhong, Yi, Ren, Yong” for “Loyalty, Righteousness, Humanity, Valor.” Guan Yu was highly respected and eventually became revered as a god. Though Guan died in 220 CE, he continues to be honored and worshiped. The Guan Yu feels very well built and sturdy in the hand. It is mostly metal with chrome trim and weighs a substantial 40 g. The length is 145 mm closed, 125 mm without the cap, and 165 mm with the cap posted to the barrel. The balance is good so it can be used comfortably without the cap. Unlike many pens, the cap clicks onto the end of the barrel for a secure fit, ideal for those who like a long pen. However, posting the cap may overbalance the pen in a small hand. On the plus side, not posting the cap allows for a free range of motion that can produce a variety of line widths. The barrel is a greenish turquoise like the green dragon for which the guan dao blade was named. GYT is engraved on the band along with three Chinese characters. The logo used on the cap and clip is a crescent blade rather than the usual Duke crown. The whole design is thematic, consistent and very attractive. The pen accepts International cartridges and comes with a screw type converter. Flow was inconsistent at first but settled nicely after a few practice marks. Writing was at its best following a fresh fill of the converter. At the very end of a fill, the pen skipped at times. Consider that an early warning that it’s time for more ink. Sometimes this design is called bent nib or fude. Whatever you call it, the Guan Yu has a particularly long tip that makes my other Asian calligraphy nibs look puny in comparison. It is capable of producing a stunning 4 mm line while writing a 1 mm line or even thinner when held at a more upright angle. That makes it suitable for writing as well as sketching. Hold it too upright and it will skip so it does have its limits. Noodler’s Lexington Grey is a good match since it is more subtle than black and shades nicely enhancing line depth and variation. Just the thing for a very wide nib. The pen has an overfeed, a strip of metal that goes over the front of the nib. It’s the first one I’ve used on a fountain pen though some dip nibs come with the enhancement. 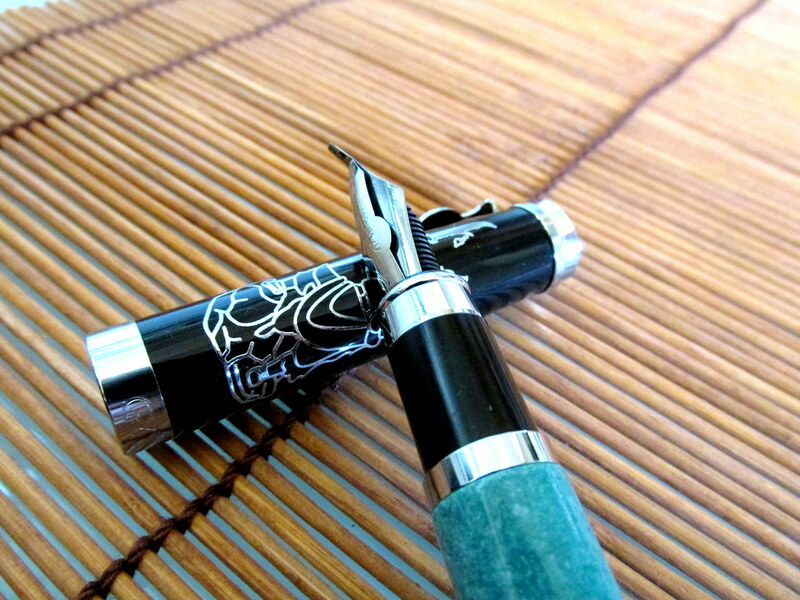 It’s designed to keep ink flowing to the nib and prevent skipping when a strong flow is needed. Given the amount of ink required for a 4 mm line, the overfeed is a a wise addition. It isn’t pretty, but it is useful. The nib has a little flex to it probably from the length of the tip rather than by design. It takes a bit of effort to bring out the flex, but with a little practice, it is possible to mildly vary line width. I found that property more useful for drawing than writing. 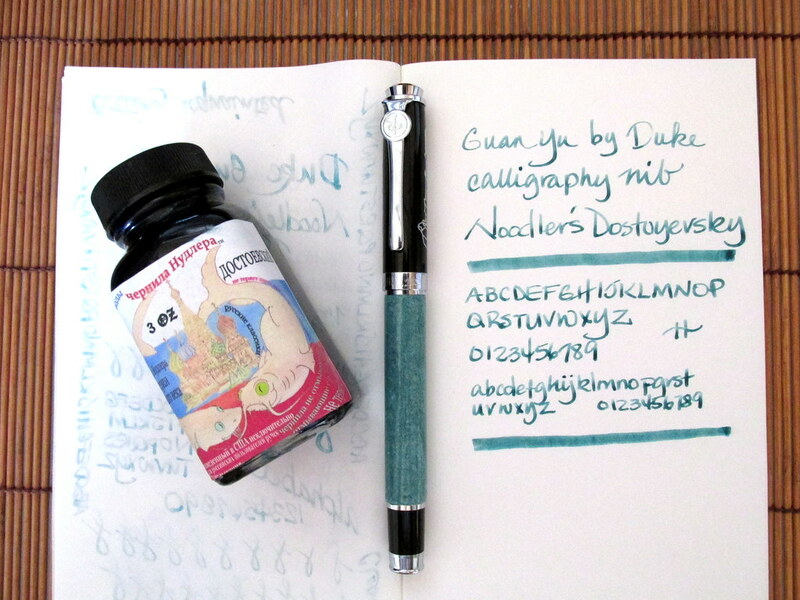 The blue-green barrel closely matches Noodler’s Dostoyevsky so I used it for the first fill. A dark ink would make a very strong statement from such a wide line. Pale or pastel inks would show more substance. Dostoyevsky struck a nice balance between the pale and the dark. If used slowly for a thick line, the paper becomes critical. Drying time can be significant on a coated paper. 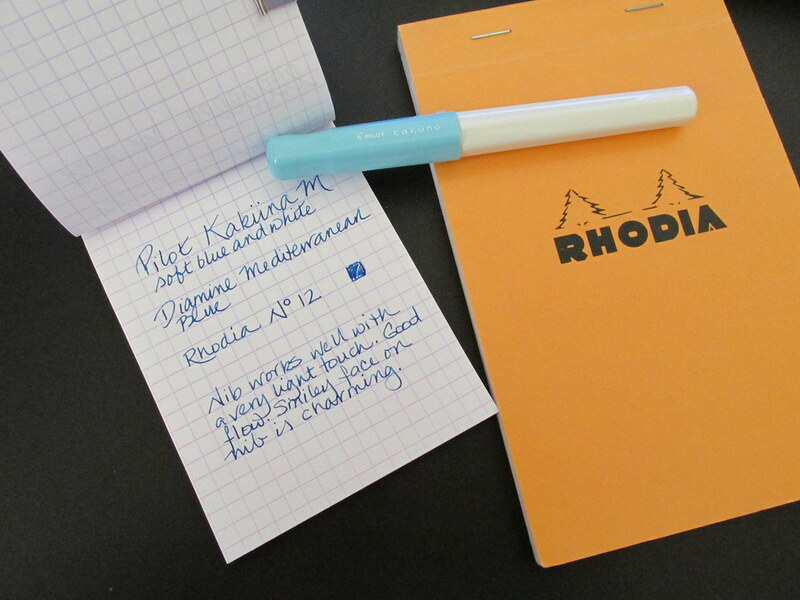 Rhodia worked well despite the heavy flow though there was some ghosting and a few dots of mild bleed-through. Midori Traveler’s Notebook with Tomoe River paper showed heavy ghosting and significant bleed through. Experimentation will reveal good matches of ink and paper for this very wide nib. One note about using this calligraphy nib. Mine does not lend itself well to writing in the Chinese style of holding the brush upright. The more contact the nib has with the paper, the better the flow and the wider the line. A western style hold will produce a very broad line. The lower the angle, the better. 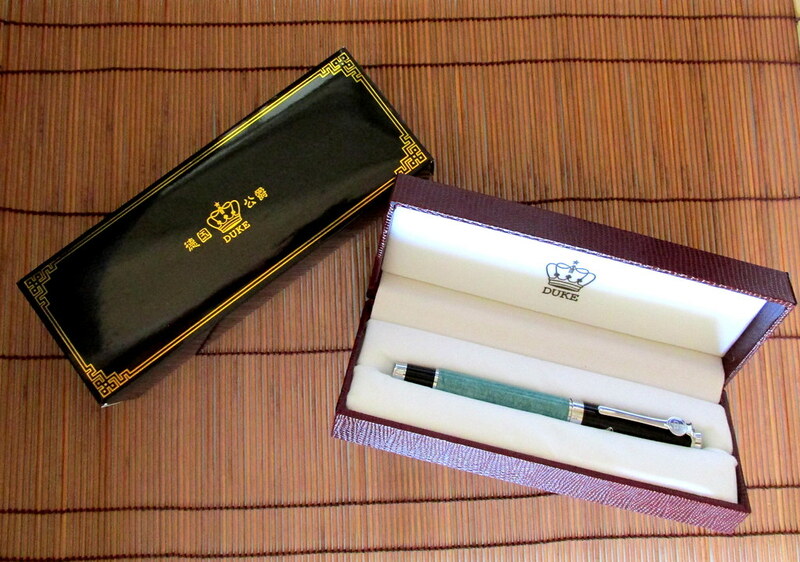 The Duke Guan Yu is an eye-catching pen and might get some remarks from co-workers or fellow patrons at a coffee shop. However, this is a pen that makes writing more fun than serious. 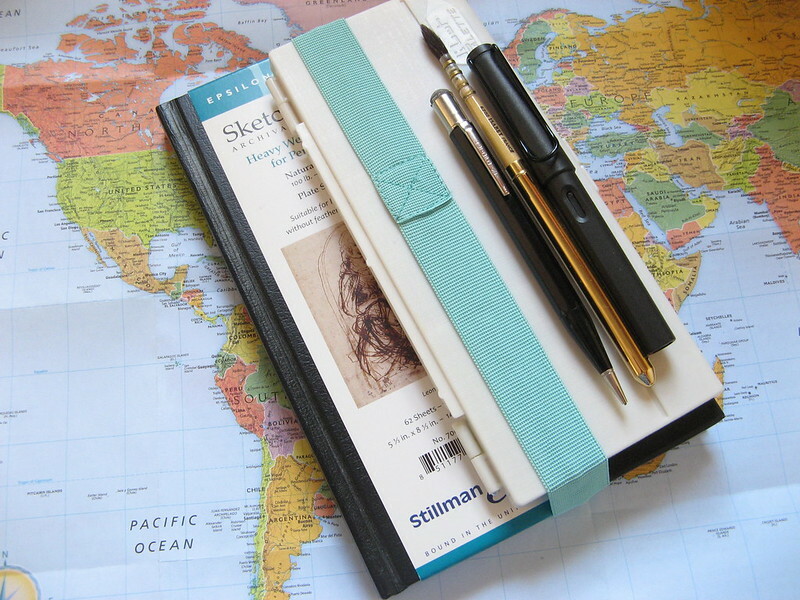 It would be perfect for a doodle journal or to decorate paper margins turning something ordinary into something elegant. Then write in the center with a standard pen. My Guan Yu came from an eBay seller in China. If you prefer Amazon, I found three offers: here, here and here. The Duke 209 Calligraphy Bent Nib has a smaller tip so look closely if you want the same nib I purchased. Leigh has the Confucius model with an extra long nib in a bamboo design. There is a black Confucius model as well. This might not be a go-to pen, but it sure is a kick to use when you just want to play around with ink and pen in a bold and color filled way. Recently, a Pilot Kaküno found its way into a small Amazon order. For $10 and change, it was a steal of a deal. The soft blue and white are a refreshing combination for the summer ahead, but looks aren’t everything. So what else does it have going for it? 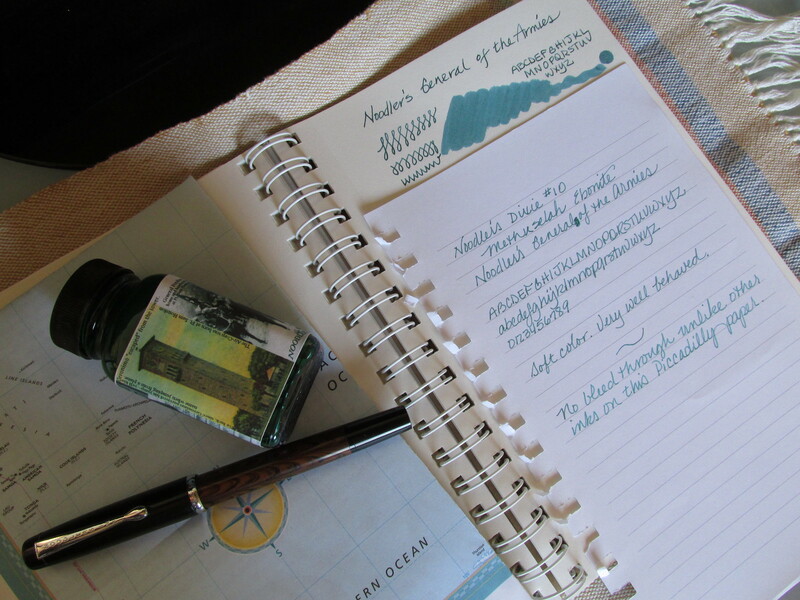 After a thorough search of the blue inks on hand, Diamine Mediterranean Blue emerged as the best choice to fit the summer-at-the-beach look of the pen. 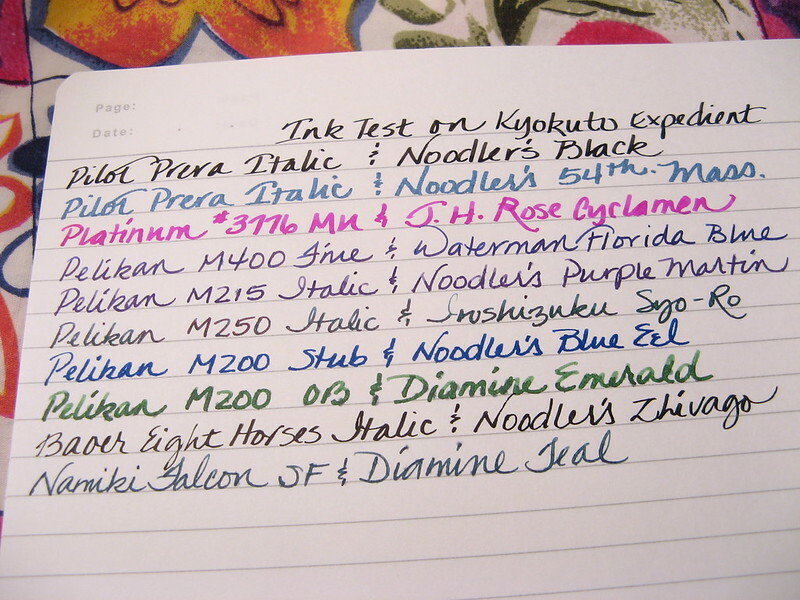 Some other inks that would be lovely with it are Iroshizuku syo-ro, Platinum Mixable Aqua Blue and Diamine Soft Mint. Contrarian? Diamine Peach Haze, Vermilion or Wild Strawberry would be unexpected colors for this model. Montblanc Pink Ink would be very eye-catching, too. 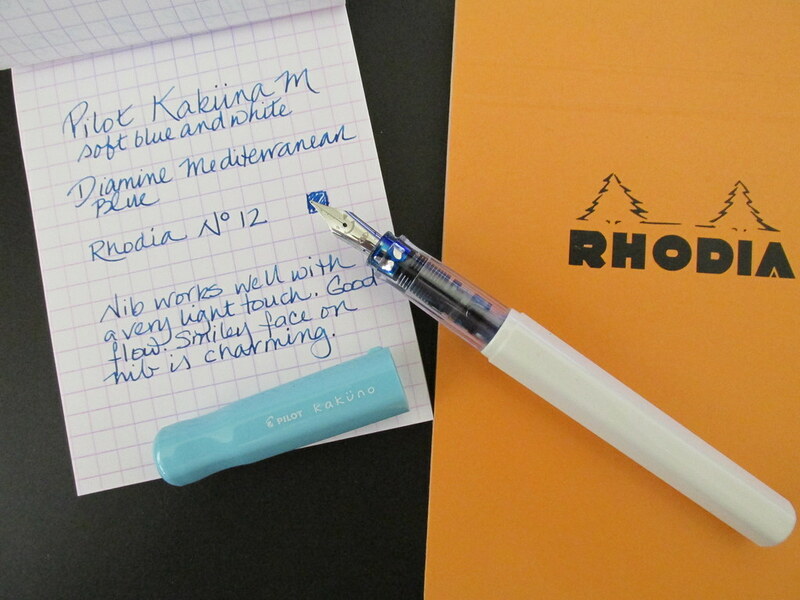 Unlike some entry level fountain pens, the Kaküno wrote perfectly from the get-go. It did get a water rinse before the first fill, but that’s just good practice with any new pen. The flow is perfect for the medium nib and produced some nice shading. No skipping or false starts. It isn’t butter smooth, but with a light touch it is neither scratchy nor squeaky. For an all-purpose carry anywhere pen, it writes quite well. If you buy two, you can swap the caps for additional variety. I think a black cap on a white barrel would look very cool. But the pink and white model reminds me of cotton candy. There are many choices, but at the price point, it’s hard to go wrong. 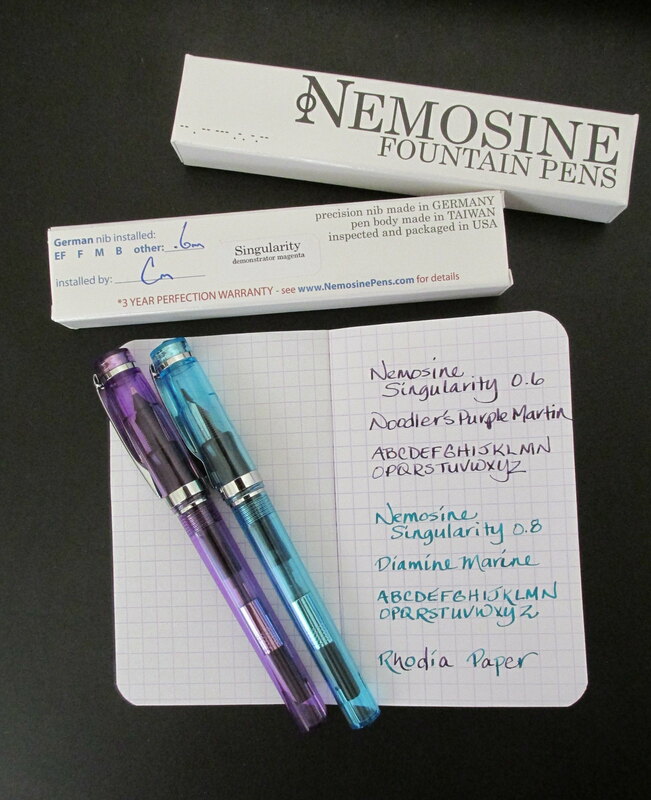 Nemosine Pens may be a new name to you, but it has been around for a few years. Unlike its competitors, the company has staked out the under 1.1 mm italic nib as a unique part of its offering. For as little as $14.99, is it a bargain or a waste of pocket change? So the pens are of mixed heritage. The box also announces a “3 YEAR PERFECTION WARRANTY.” Apparently they really like putting info in ALL CAPS including the company name, NEMOSINE. The packaging amounts to a simple white, cardboard box that contains the pen, instruction sheet, and some cartridges to get things started. Given the price point, this is an economical presentation that suits the product. The two Singularity pens I purchased arrived in perfect condition. The company has misnamed the magenta since it is most certainly purple. The aqua is more accurately named and a very attractive color at that. Both have silver-colored furnishings and stainless nibs. Neither has any obvious flaws though they haven’t been in rotation long enough to know whether they will endure the test of time. The size is very comfortable for me and the design is quite pleasing in the transparent, demonstrator style. There are other colors available. The Singularity feels sturdy, but lightweight. The cap screws on solidly which makes this model a likely prospect for a carry pen. In addition to the visual treat of seeing the inner workings, the level of ink is always on display. This feature makes a demo a very easy travel mate. Grab and go, you know? Sometimes small things can make a big difference. The convenient piston converter contains a tiny plastic ball that breaks the surface tension and keeps the ink flowing into the feed. This is a plus and something all converters ought to include. If you really want to load it to the max, this model can be converted to an eyedropper-filler with a smear of silicone grease. 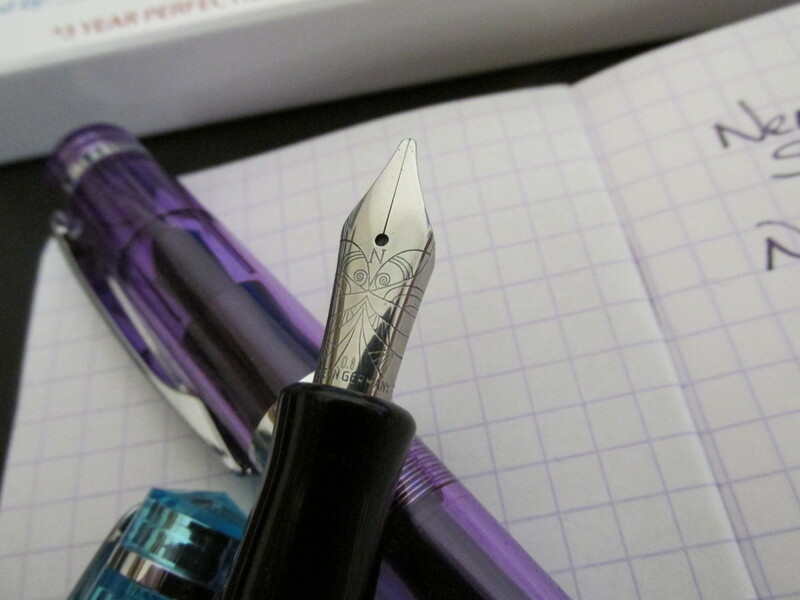 Get the sort used on fountain pens for best results. 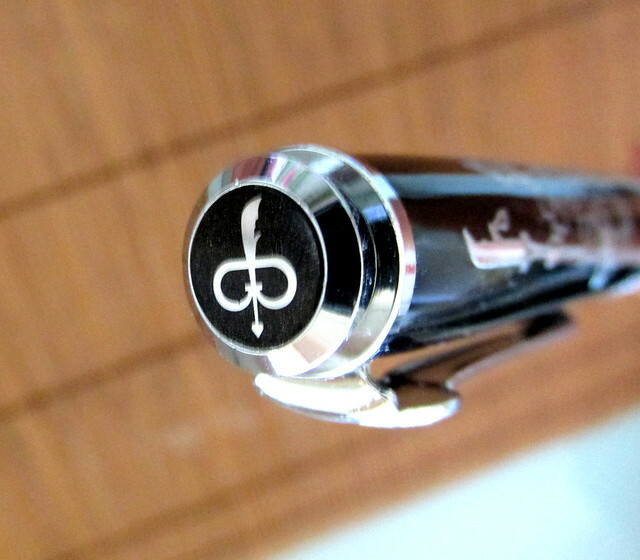 Isn’t that an attractive nib? It really elevates the pen’s appearance over anything else in its class. The Singularity comes in extra-fine, fine, medium, broad, 0.6 and 0.8 calligraphy tips. The 0.6mm nib is quite sharp making it an italic. It does not glide, but it can add character to letter forms. 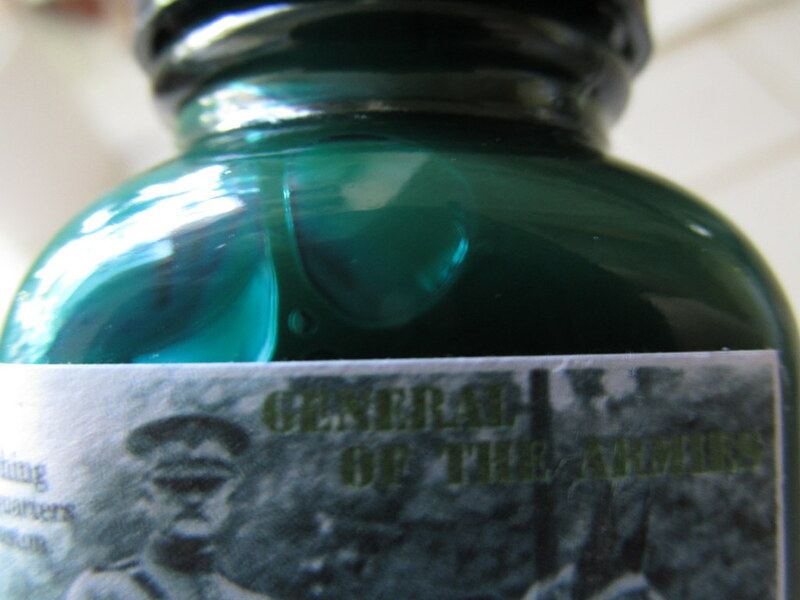 A lubricating ink will improve its performance. The sweet spot is on the small side, but in line with the nib size. This could make the 0.6 a challenge for someone who rotates a pen. It isn’t an insurmountable problem, but something to consider. However, the nib size is very well suited to grid paper and performed admirably with Noodler’s Purple Martin in a Midori #002 Traveler’s Notebook. The 0.8mm is smoother and is not quite as sharp so it is closer to a stub. The sweet spot is larger, but so is the line. It’s an all-purpose size for me, but then I do like wide nibs. For someone who wants to explore stubs, especially with little investment, this is a good entry pen. The two pens are twins in one regard. They are chatty with the 0.6 out-squeaking its sibling. Paper and ink can influence this trait so an ink that aids flow will reduce the chatter at least on a very smooth paper. I used to live with a Society Finch who thought a squeaky, chattering fountain pen was signalling an invasion. He would harass the offender until it went silent. I am not so sensitive and find the sounds to be inoffensive. The weakest aspect of both pens is the flow, but I have found that to be true with other entry-level italics including the Lamy and the TWSBI Eco 1.1mm nibs. The Singularity flow is sufficient to keep up with the nib’s width and rate at which it puts down ink and neither pen has failed to write. However, at times the line isn’t as filled in as it should be or the outlines as consistent as one might like. Writing at the right pace for the flow will achieve best results. 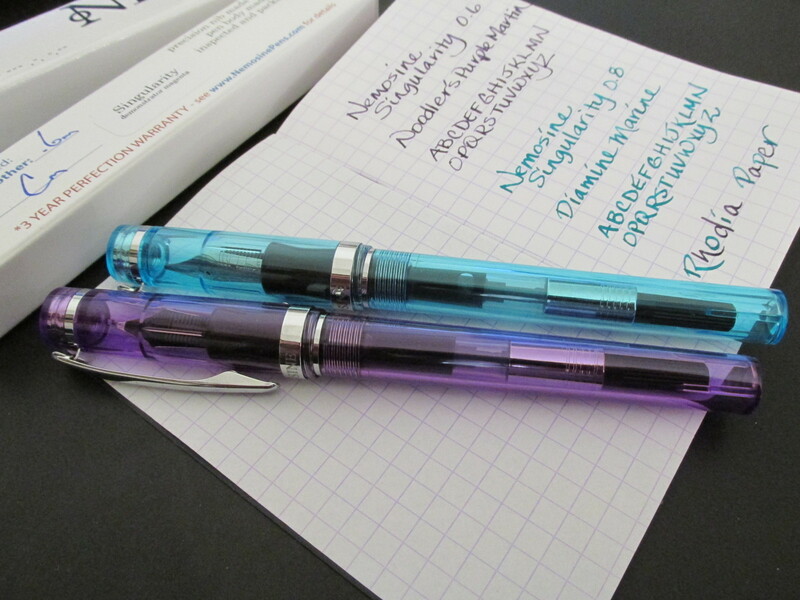 For a brand comparison, the Nemosine nibs are more narrow and have more consistent flow than the Lamy 1.1mm. 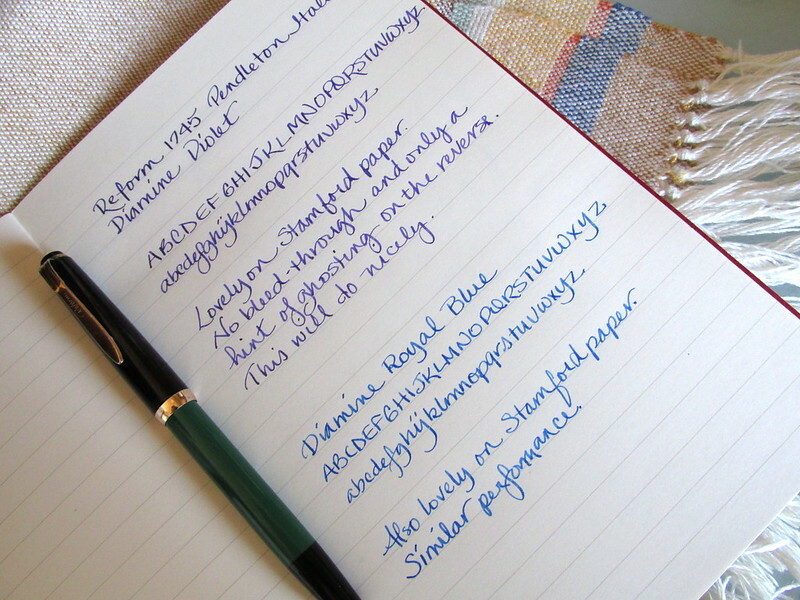 The Lamy broad nib is smoother and wetter than the Nemosine, but it isn’t crisp like an italic. Lamy pen has a unique style while the Singularity has a more traditional design. For another comparison, I like the look of the Singularity better than the TWSBI Eco and the 0.8 stub is at least as good if not better than the Eco 1.1. Flow is more inconsistent with the Eco than the 0.8 stub, but ink can play a significant part and some brands and colors will be more helpful than others. Paper is a factor, too, and slightly absorbent paper pulled just enough ink from the Singularity nib to produce relatively clear, clean lines. Isn’t that a neat trick! At the price point, there isn’t much to lose. However, I was pleasantly surprised at the Singularity and will get plenty of use from these low-end gems. 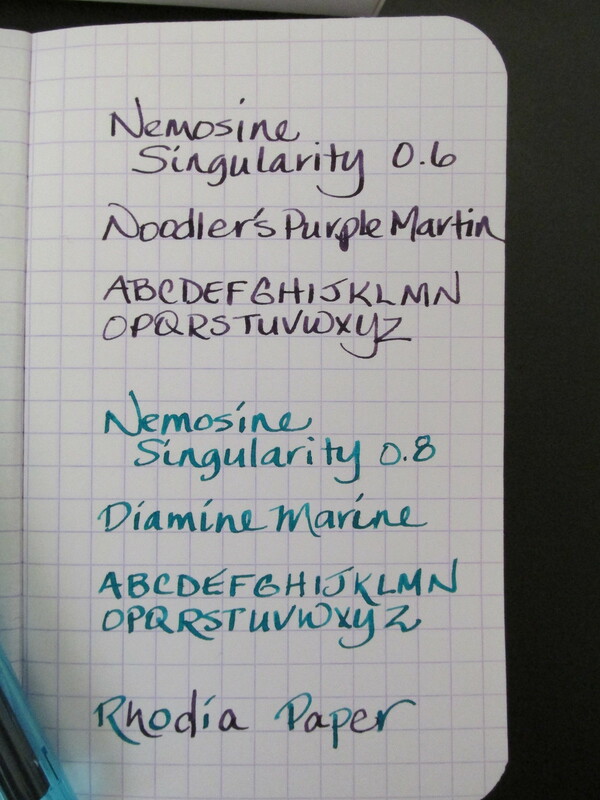 As proof, the aqua demo with Diamine Marine earned its second fill in only a matter of days. From the standpoint of eye-appeal, it’s a happy-looking pen and is sure to follow me everywhere. 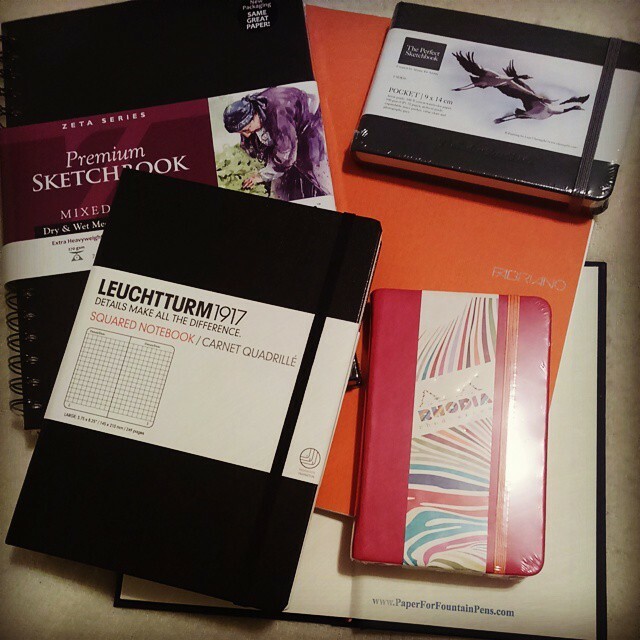 Next thing you know, it will be begging for a matching journal and myriad accessories. My inexpensive pen could become a rather expensive hobby. At least I will have an abundance of color to show for it and that is always good for an inkophile. 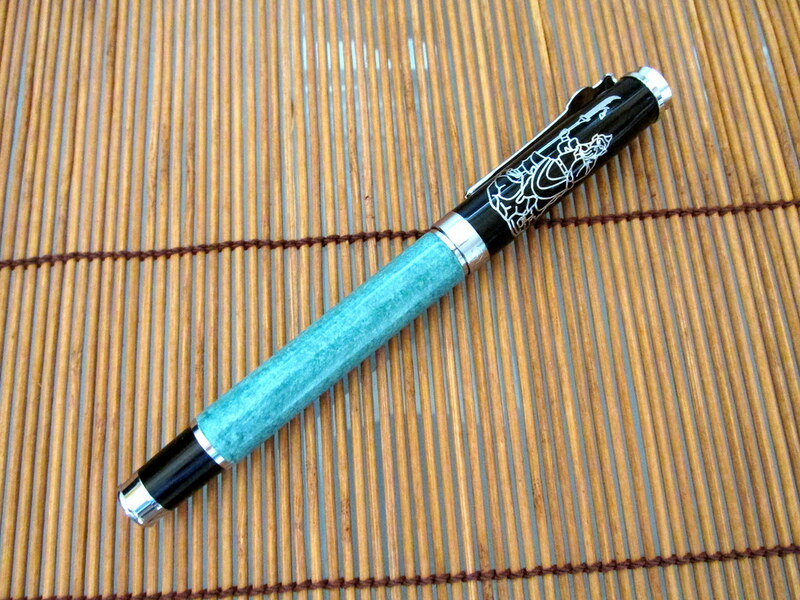 xFountainPens offers the lowest prices I could find on the Nemosine Singularity and carries replacement nibs as well. Late last week I received a box of paper products from a friend who shares my paper hoarding affliction. You know the symptoms. 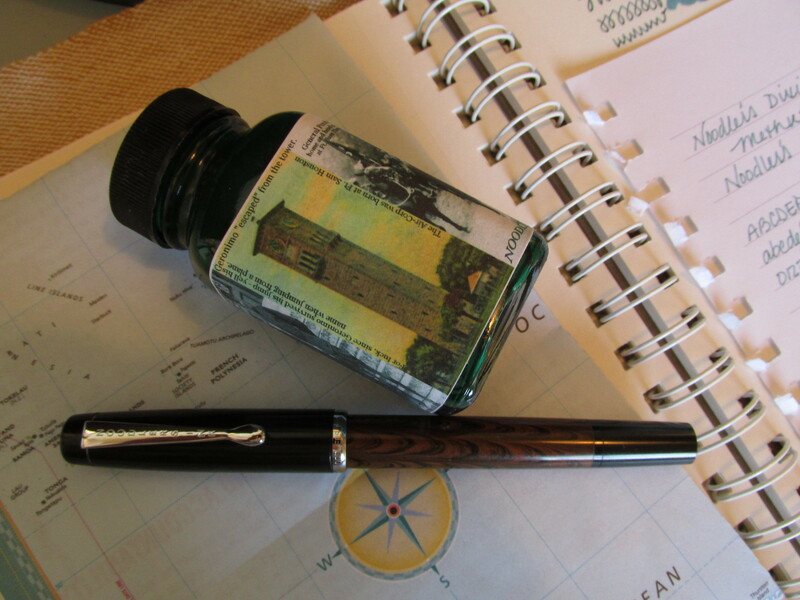 Buy tons of paper retail, on sale, discounted, whatever, but often in quantity with hopes one product will be so ideal for fountain pen ink that you experience a state of bliss whenever you see, touch or put a pen to it. Not sure if that is over the top or dead-on, but if it sounds familiar, you are in good company. Here is the dilemma I faced over the weekend. Where to begin with so many choices? I finally gave myself a nudge and removed one plastic wrapper. But that’s as far as I got. The journals just looked too perfect to abuse with scribbles and such. However, reviews take hands-on experience. So after the wrappers are removed, pen and ink tests will follow for writing paper and watercolor tests for the art paper. Call it initiation. Those that pass, join the hoard. Those that don’t, land in the giveaway box. On occasion, a format doesn’t thrill me, so even good paper can get tossed. It’s a simple system even though my collection seems to expand no matter what I do. But isn’t that a good thing? To counter the gray day, color invaded my desk. What perks up your day? 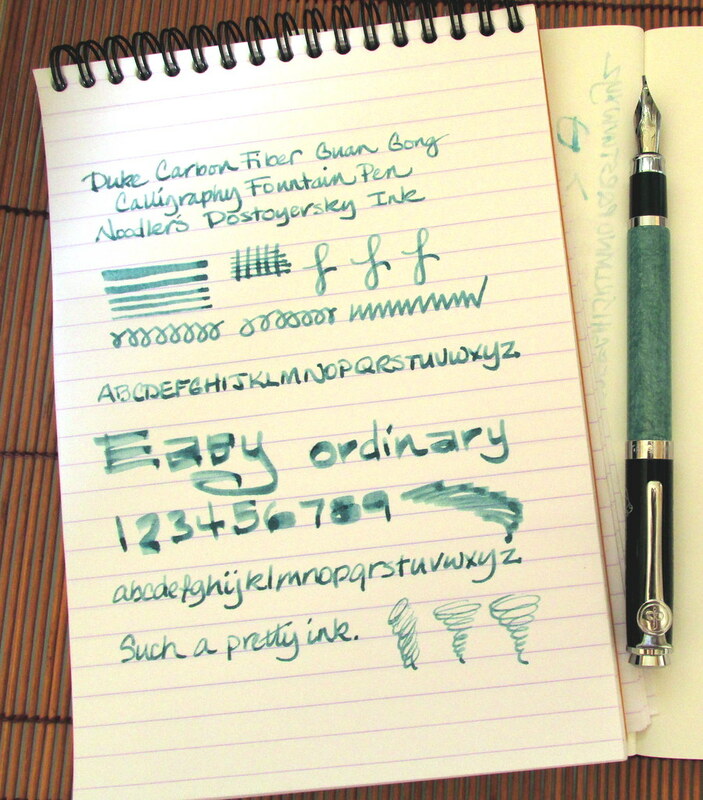 Noodler’s Ink has a new release with a split personality. 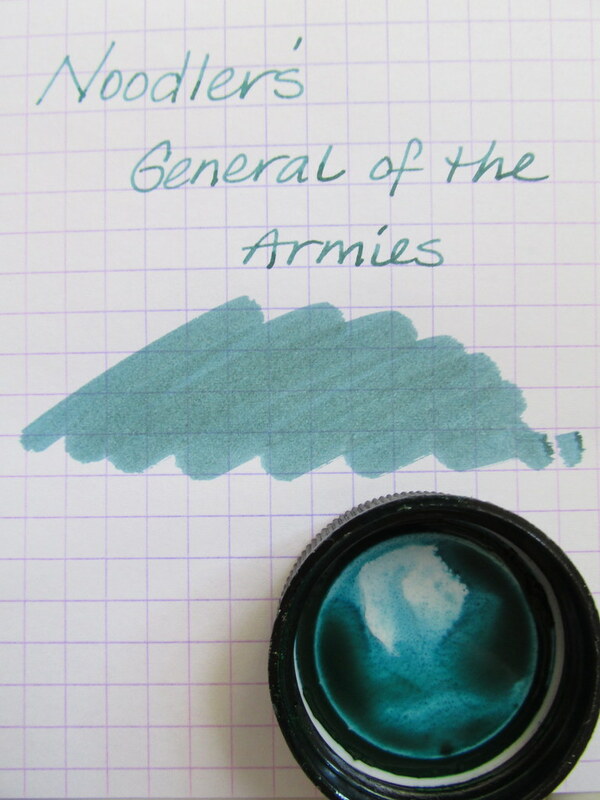 General of the Armies is dark green when wet, but blue when dry. 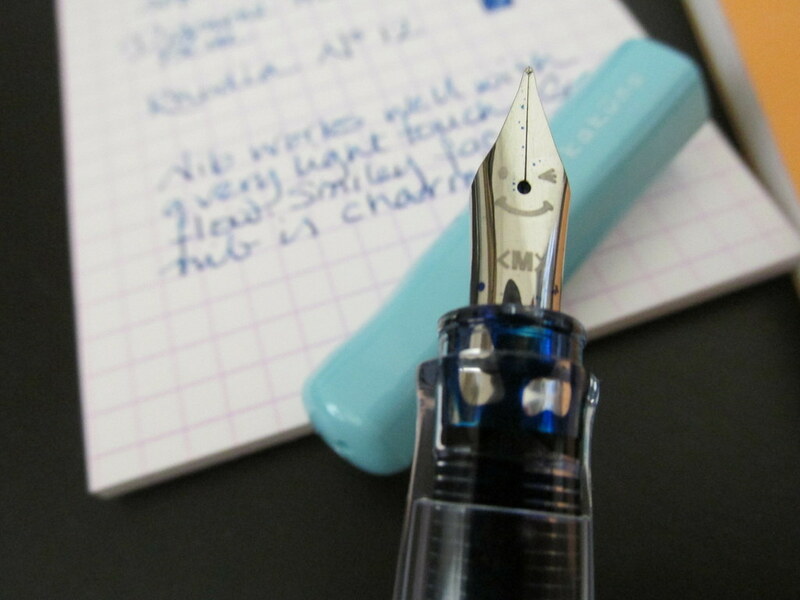 If your pen has an inkvue window or it is a demonstrator, this ink will confuse your senses. For an audience, it looks like a magic trick so make the most of it. Thank the ink wizard, Nathan Tardif, for the admiration you will receive. As for other inky qualities, it is well-behaved on a variety of papers. 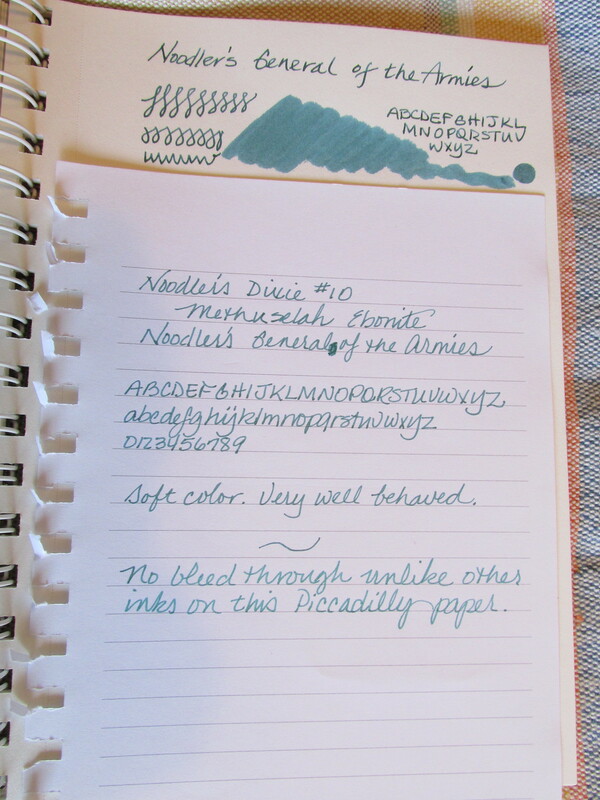 No shading with the Noodler’s Dixie #10 Methuselah Ebonite on absorbent paper, but it did shade nicely on Rhodia. 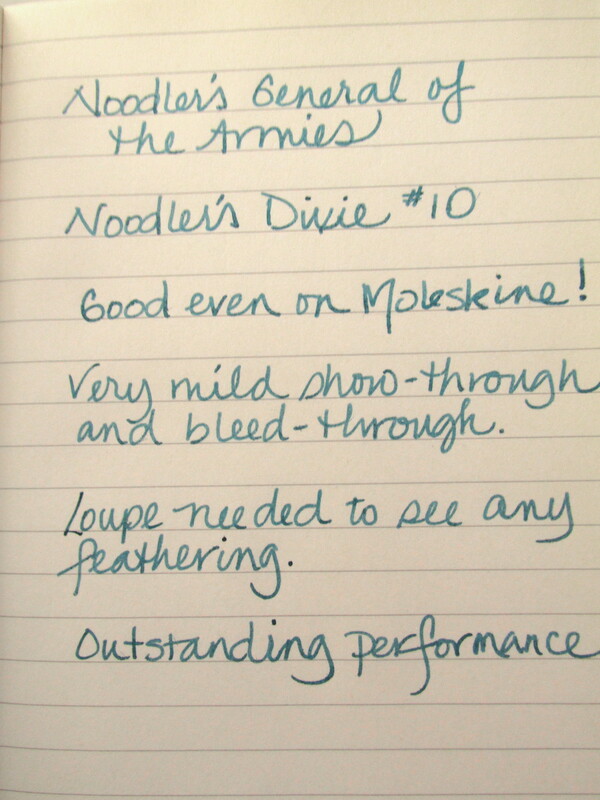 No feathering, show-through or bleed-through on any paper except to a mild degree on Moleskine. The color is green-blue when dry and not highly saturated. 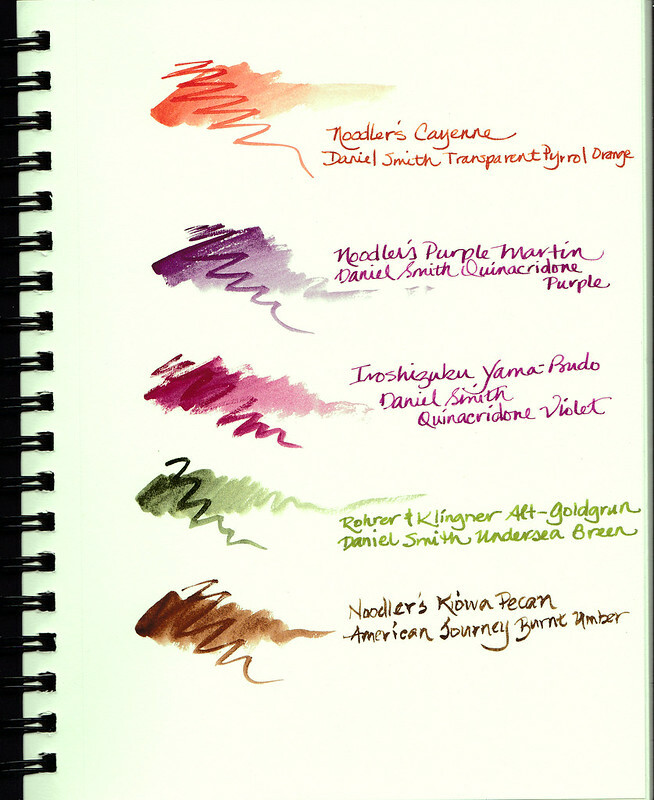 Like many inks from Noodler’s, it does not budge when smeared with water. Frankly, what more could you ask from an ink? Thank you, Carol, for the ink and pen. Luxury Brands U.S.A. has been a good and supportive friend to this blog. Your generosity is greatly appreciated. Available at Amazon and many other retailers.